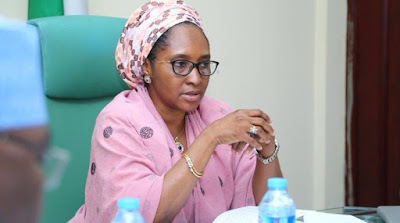 The Federation Account Allocation Committee (FAAC) disbursed the sum of N619.86bn to the three tiers of government in March 2019. This is revealed in the latest FAAC report released by the National Bureau of Statistics (NBS). The latest FAAC report shows that Nigeria’s revenue allocation dropped by 4% in March 2019. Specifically, the sum of N649.19 was disbursed in February 2019, compared to N619.86 disbursed in March 2019. The amount disbursed comprised of N474.42bn from the Statutory Account, N96.39bn from Valued Added Tax (VAT), N4.02bn as excess charges recovered, N44.17bn distributed as FOREX Equalisation Fund, and N858.46m exchange gain differences. Nigeria Customs Service (NCS), Federal Inland Revenue Service (FIRS), and Department of Petroleum Resources (DPR) received N3.91bn, N6.49bn, and N3.19bn respectively as the cost of revenue collections. Federal Government received a total of N257.68bn from the N619.85bn. States received a total of N169.93bn, while N127.72bn was allocated to Local Governments. The sum of N50.95bn was shared among the oil-producing states as 13% derivation fund. The NBS report shows that the Federal Government received a total of N257.68bn from the N619.85bn in March. All States across the federation received a total of N169.92bn and Local Governments received N127.72bn. The sum of N50.94bn was shared among the oil-producing states as 13% derivation fund. Further breakdown of revenue allocation distribution to the Federal Government of Nigeria (FGN) revealed that the sum of N203.04bn was disbursed to the FGN consolidated revenue account; N4.63bn shared as share of derivation and ecology; N2.31bn as stabilization fund; N7.77bn for the development of natural resources; and N5.52bn to the Federal Capital Territory (FCT) Abuja. Delta State received N20.3bn allocation received in March 2019. This means that Delta state maintained its top spot among the list of states with the highest gross revenue allocation. Meanwhile, Akwa Ibom also maintained the second position with N16.3bn and Rivers moved to the third highest recipient with N14.1bn. Lastly, Lagos state moved down and ranked 4th with N13.2bn allocation for the review period. However, Bayelsa and Kano ranked 5th and 6th highest recipient with N13.18bn and N6bn respectively. The Bureau’s report shows that Kwara State once again received the lowest revenue allocation with N3.8bn for the month of March. This shows a fall in allocation to the State when compared to N4.06 billion received in February. As expected, Lagos State received N8.8bn in March 2019 from VAT, up from N8.5 billion received for February. This implies that Lagos State recorded a 3% rise in its VAT allocation for the month of March 2019. Kano, Oyo, and Rivers ranked 2nd, 3rd and 4th as states that received the highest VAT with N1.7bn, N1.5bn and N1.5bn respectively. Still on VAT allocation, Taraba, Nassarawa and Bayelsa received the lowest VAT allocation with N875.7 million, N836.1 million and N822.5 million respectively. All things being equal, the drop in FAAC for the month of March implies that economic activities may slightly slow down in states that witnessed a sharp drop in allocations received. The drop in FAAC disbursement in affected states and local governments, mean fewer funds to use for various recurrent and capital expenditures. This is expected to have its spiral effect on key sectors of the economy.